If you enjoy making horseback riding a part of your summer vacation, then you'll love Mammoth Lakes, California. There's a wealth of places where one can ride and most horseback riding trails take riders and their horses through some of the area's most breathtaking scenery. Horseback riding around Mammoth Lakes and surrounding environs is a popular summertime pursuit for both locals and visitors. In the Eastern Sierras of California, there are myriad places for the horse and their rider to amble, from trails that wind through the John Muir Wilderness to others that circle nearby Crowley Lake. 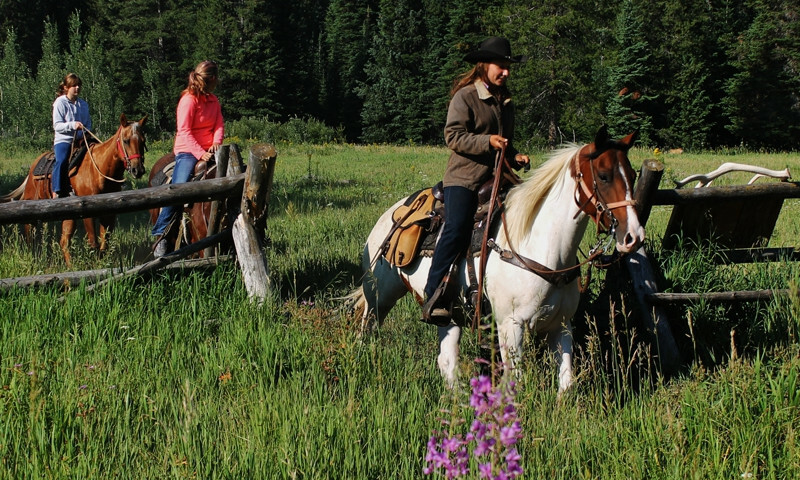 For many visitors, vacations wouldn't be complete without a trail ride. Local equestrian centers and Mammoth Lakes-area outfitters offer guided rides past the region's most awesome scenery. Riders may book short tours of just an hour or two or all day rides that allow vacationers to truly see the sights from the back of their horse.